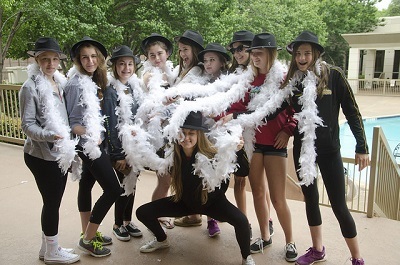 It is the mission of Flatirons Volleyball Club to develop junior girls into complete athletes on and off the court. We build strong character and an even stronger passion for volleyball. We believe when athletes follow their passion, it takes them far. Flatirons places a strong emphasis on the importance of confidence, the competitive spirit, the satisfaction of putting 100% effort into each task and showing respect in victory and defeat. In addition, we teach the concepts of self-discipline, time management, leadership and other life lessons inherent in team sport . . . all the while keeping fun as a top priority. We know our teams can achieve more as a unit than any one person working alone. For this reason, team building and team unity headline our list of life skills. We achieve these goals with an experienced, dedicated staff of coaches who run physically and mentally challenging practices designed to optimize athletes’ time by maximizing touches on the ball. 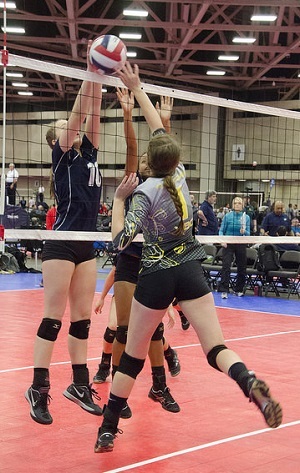 Flatirons is a competitive club based in Boulder County and governed by USA Volleyball. We compete in USA Volleyball-sanctioned events because of the superior level of competition and the strength of the USA program. Flatirons VBC is proud to have been featured in the Boulder Daily Camera Non-Profit Spotlight. Click here to see the article. After 19 years of training thousands of athletes, Flatirons is most proud of the lifelong relationships that have continued beyond the competitive experience of club volleyball. To this day, Flatirons alumni are serving as bridesmaids in each other’s weddings, supporting forever teammates in their fight against breast cancer and even matchmaking single parents resulting in new step sisters! We beam when former Flatirons players return to give back as Flatirons coaches. Flatirons Volleyball Club is proud to sponsor the Monarch Gold Crown Volleyball Teams. We host an annual “Dig Deep” food drive to benefit Community Food Share. Little Spiker training and Friday Night Spikes Leagues are offered for the younger population. In the summer we conduct incredibly fun skills camps and position clinics. In 2015, our beach program launched with eight teams who finished in the top five of every event they entered. Click here to see our program overview. Click here to see our current season information. Click here for the history of Flatirons Volleyball Club, and the vision that inspired it. We are a state registered non profit (501c3) organization governed by USA Volleyball. Click here to see the accomplishments of some of our present and former players.